Last December, at the age of 22, I was diagnosed with osteosarcoma, a type of bone cancer in my left leg. I was immediately put on crutches and started on intense chemotherapy. I also had to withdraw from my senior year at the University of Richmond. After undergoing some of the treatments, however, I was told that my chemotherapy was killing me instead of my cancer, and I was faced with the partial amputation of my leg to save my life. 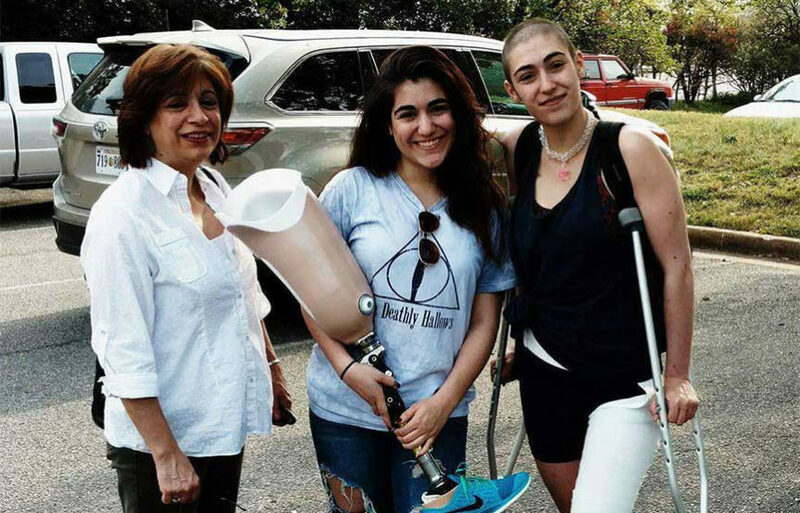 On March 10, I said goodbye to my leg and hello to a completely new way of living. Since then, I’ve had to endure another six rounds of in-patient chemotherapy treatment. Chemotherapy is an intense battle for anyone, and when one person is fighting cancer it often means that one’s family is struggling as well. Fortunately for me, I was lucky enough to be introduced to The Hawthorne Foundation and its resources by my dear friend Robin Pugh Yoder. The foundation blessed both my family and me this summer with funding to support us during this difficult time. Not only was this a financial blessing to us, but it was also encouraging to know that there are resources out there to help people struggling to win the fight against this insidious disease. Like the Hawthorne Cancer Foundation’s mission to support those in the fight against cancer, the Hawthorne Center is launching The Paper Crane Project. By purchasing a paper crane, the project raises funds for people just like me, along with educational materials for the resource center. Adopting cranes becomes more than having a new decoration for the home or office; it becomes a way to help people struggling with one of the biggest challenges of their lives. I am forever grateful to the Hawthorne Cancer Foundation, and I cannot wait to see how it will continue to bless so many lives. I hope to one day give back to the world all of the kindness that this foundation has shown to me. Each month, The Hawthorne Foundation awards a financial grant to a cancer patient in need. Every patient has a story and we would like to share those stories with our readers.